The "make-to-order" business models adopted by several builders during this recession mean more challenges - not just for the manufacturers, but for their vendors and suppliers, who now must deal with stop-and-go production schedules and sporadic ordering patterns. Some builders say they are concerned about companies that supply the hundreds of components that go into boats and engines because most of them are small, highly specialized mom-and-pop operations - some lacking the resources to ride out the recession. And when OEMs file for Chapter 11 bankruptcy protection, there also is concern that vendors who aren&apos;t getting paid might not be able to hang on. Many worry that as more builders restructure and consolidate, some vendors will have an increasingly difficult time surviving, particularly those whose business is a single product. Even well-positioned vendors are struggling to keep up with the timing of orders, trucking and delivery, and obtaining raw materials to meet just-in-time demand. 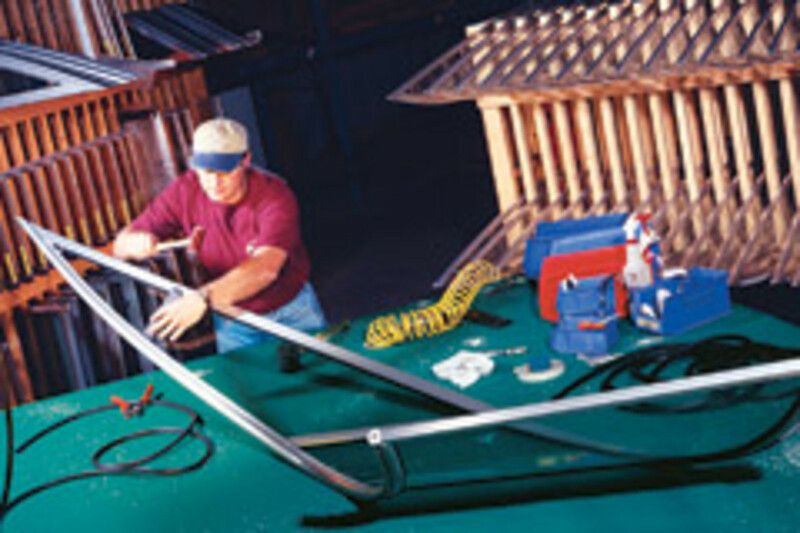 In the case of labor- intensive items, suppliers must be able to quickly reduce lead times. The loss of some key vendors could become an obstacle to builders trying to ramp up production as the economy bounces back. "There is a real timing issue that should be a concern," says John Dorton, president of MasterCraft Boat Co. "We could end up with the same problem for different reasons. Now we&apos;re not manufacturing because of demand and credit, but we could [find ourselves] not manufacturing because the components aren&apos;t there." Clint Moore, president and CEO of Volvo Penta of the Americas, agrees that ramping up production again is "going to be far more difficult than is commonly recognized" because the vendors are in such precarious shape. "Our feeling is great damage has been done to the supply chain," Moore says, calling the supply base the "epicenter" of boatbuilding. But despite these challenges, many vendors remain optimistic and say the marine industry&apos;s unique fraternity will help them make it through to the other side. MasterCraft and Volvo Penta are among the OEMs working with vendors they have identified as being fragile and crucial to the industry. At the same time, MasterCraft restructured when it exchanged investors&apos; equity for debt, and asked vendors to take either a staged repayment or a discounted immediate repayment. For their part, vendors are working with OEMs, too, says Will Keene, president of Edson International, the New Bedford, Mass.-based company that manufactures steering systems and pumps, among other equipment. "The small vendors [are] financing our customers," says Keene. "Because of the market situation, we&apos;re having to allow people to pay us over time rather than in 30 days because they don&apos;t have the cash flow. So we&apos;re trying to work with them and also work with our own vendor network. We have vendors who supply us who want to know when they&apos;re getting paid, but it&apos;s hard to pay them if we&apos;re not getting paid." In essence, the company is playing the role of a bank, Keene says. "It&apos;s not an easy task or a pleasant task, but the reality is you do what needs to be done to make enterprise and business happen," he says. "We don&apos;t want to put our customers out of business; we want them to live to sell another day. We&apos;re blessed with really good, honest customers. One thing that does set the marine industry apart is it&apos;s a pretty tight fraternity, and no one is going to let another guy go down unless there is no other option." Some vendors, however, will not have the resources to work with builders. "Small business is bearing the brunt of this recession, and certainly the suppliers in the marine industry are smaller than the builders themselves," says Keene. "Builders have shrunk vendors to a large degree. One of the things that has been frustrating is a total disregard for [the fact that] because of our size, we&apos;re more nimble than other parts of the industry. We&apos;re small and can easily bring people back, but we have to have something to bring them back to." If a builder is only building 30 percent of what it produced a year ago, that means it is buying 70 percent fewer cleats, windshields, control cables, engines and other parts, says Phil Keeter, president of the Marine Retailers Association of America. "Those suppliers can&apos;t go anywhere else," Keeter says. "The suppliers are taking it on the chin because they don&apos;t have the orders." Chuck Rowe, president of Tennessee-based Indmar Marine Engines, says he applauds the builders who are working with vendors right now. "There has been an attempt by some builders to leverage some of their vendors, and that&apos;s unfortunate because they are fragile now," Rowe says. Indmar has helped some of its own vendors along and lent a hand to its boat-manufacturer customers, too, says Rowe. "It&apos;s a tribute to the industry and to how small the industry is that we&apos;re willing to work with each other that way," he says. "A lot of the automotive vendors we have, they don&apos;t want to help that way, and it&apos;s obvious in the shape of Detroit right now. That&apos;s unfortunate. Those of us fortunate enough to have resources - we need to guard them and not be silly with them but need to help partners come to the other side of this." Everyone will have to work hard with the dealer networks, too, because their health is vital to the process, says Rowe. "I think some of the manufacturers are ignoring the dealers right now," he says. "All of us have to come through this, and we have to work with all sides, forward and back, or the consequences could be dire." Volvo Penta has aggressively sought out important suppliers who seem most fragile, says Moore. "We sit down and have very candid and honest conversations about the state of their business and what we can do to help them," says Moore, from making loans to ordering parts in order to keep people busy. MasterCraft uses its Web-based DealerLink tool as well as SuppliLink, so vendors learn in real time when dealers place orders and see calendars covering the following few months so they can procure their raw goods. "Wherever we can bring them in and incorporate a common component," says Dorton. "We work closely with them to do that." Layoffs by builders and suppliers, which have been critical for survival, have done great damage to the boatbuilding infrastructure, says Moore. "I don&apos;t think we&apos;re going to recognize the magnitude of the problem until we start trying to ramp back up," he says. "Don&apos;t get me wrong; we&apos;d rather be dealing with problems of ramping up. We&apos;ll be here." Because of the drastic cuts, Moore worries more about the suppliers to his boatbuilding customers than those who supply his plant. "These were generally small, privately owned companies with a limited amount of capital and a limited number of people who really knew the business," says Moore. "So many of the companies have laid off so many of their experienced workers. It&apos;s going to be hard for them to come back up again." But for family businesses that have anguished over how much of their personal assets to pour into their companies, or when to cut losses, many are understandably focused on survival instead of rebounding, Moore speculates. "It doesn&apos;t matter what happens in March of 2010 if they can&apos;t make it to 2010," he says. Ramping back up will take time, says Thom Dammrich, president of the National Marine Manufacturers Association, which represents suppliers and vendors as well as boatbuilders. "Quality will be a challenge," Dammrich predicts. "Those who continue to build are going to have less difficulty ramping up than those who&apos;ve had to completely shut down." Indmar has cut 60 percent of its work force, says Rowe, but is still well-positioned for a rebound. "Our industry is made up of a lot of small-owned companies, and we have made a conscious effort to look at each staff member, each department and each discipline in the department," Rowe says. "We haven&apos;t just cut heads to cut heads." Often in publicly held companies, there are mandates to simply eliminate a certain percentage of workers, Rowe says. In privately held companies, staffing decisions are made with more attention to skill. "We know we&apos;re going to need those people to ramp back up," he says. Edson Marine budgeted for the company to be off by a certain percentage, which Keene declines to disclose, but it&apos;s "not small ... and that means fewer people," he says. The vendors serving the marine industry are as passionate about what they do as are boatbuilders, Dorton says. "Many have bypassed more lucrative careers because they just love this one so much," he says. "I think it&apos;s a group that deserves a pat on back. They realize they only have so much ability to influence sales through their products, so they are the unsung heroes." Keene agrees that most people in the marine industry are in it because they love boating. "The marine industry has never, in my opinion, been a place where you&apos;re going to go and strike gold," says Keene. "You do it because you love the industry, the vocation of boating, and being on the water. My blood is actually salt water. It&apos;s in my veins." Whether he could make more money in another industry doesn&apos;t matter. Even with the challenges, Keene says there&apos;s nowhere he&apos;d rather be. He says Edson is fortunate that it&apos;s not totally dependent on one industry the way many suppliers are. The company&apos;s environmental pumps are used in commercial and municipal applications, as well as in marine. "We&apos;ve always been a company that&apos;s had two major product lines, and thankfully so," Keene says. 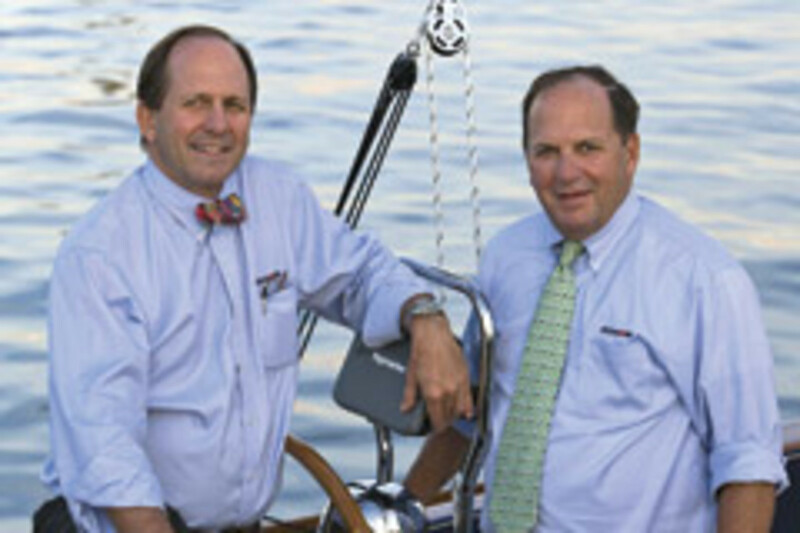 "We&apos;ve been primarily, through history, sailboat- oriented and over the past 15 years have developed more powerboat products. So basically we have more than one leg to stand on." Most vendors have a competitor, says Keene, but some succeed because they create a buzz within their particular niches. "Without dislocating my shoulder patting myself on the back, I think we have a relatively unique product in steering systems on boats, specializing in sailboats," Keene says. "It&apos;s not a huge market for anyone to get into. It doesn&apos;t really lend itself for someone to start investing in that area. I don&apos;t think a lot of people are sitting on the edge of their seats saying, &apos;Wow, if Edson goes under, we&apos;re going to jump in.&apos; "
There has been vendor consolidation, too. The Marine Specialties Group of G&T Industries was recently sold to Pelham, Ala.-based Spradling International Inc. - a result of each company refocusing as they move forward, says Terry Mead, who made the move to Spradling with G&T. While Spradling has specialized in textiles for years, G&T was more focused on furniture, Mead says. The downturn has prompted many companies to think carefully about how they want to proceed, she says. Spradling has been a supplier of vinyl-coated fabric since 1964. "The economic situation certainly presented an opportunity, if you will, but I think the root behind the sale of our group to Spradling is based on that long-term relationship," Mead says. Because of the sale, it&apos;s hard to say what has happened in terms of staffing, says Mead. "We have tried to identify how much more volume we can do at current staffing levels, equipment, etc.," says Mead. Spradling opened a new facility about five years ago, so capacity can be increased, she says. The company has an advantage over some suppliers, too. It produces a set amount of fabric - say, 2,500 yards of a certain color - and doles it out as needed, Mead says. That is a benefit, since vendors are not sitting on inventory these days. For those who don&apos;t - labor-intensive manufacturers, in particular - meeting the demand when it does occur can be tricky. While Spradling avoids some of the staffing and inventory challenges, scheduling trucks for deliveries can be tricky, Mead says. "In the past it was so smooth ... in terms of material planning," she says. "There were spikes, but it was certainly more even when trying to schedule trucks, especially when you&apos;re doing just-in-time delivery as we&apos;ve always tried to do." Those unforeseen spikes and lags in building are hard on suppliers, Volvo Penta&apos;s Moore says. Not only that, but options offered with boats make things even trickier, Rowe, the Indmar Marine president, points out. "There are 100 different models and 100 variations on each of all those models on the shelf, and that&apos;s not realistic in this environment," says Rowe, who has been with his family&apos;s 38-year-old business since 1972. "Built just-in-time is overused, but we try to do that. We build this week what was ordered last week. We&apos;ll work on Saturday or Sunday - this isn&apos;t a point of picking and choosing when or how we work; it&apos;s giving customers what they need." Indmar Marine hasn&apos;t been directly affected by any Chapter 11 restructuring, but many of its vendors have, Rowe says. "Anytime that happens and you have a mom-and-pop [business], you put those companies at risk," Rowe says. But with 35 years in the industry, including the luxury tax ordeal of the early 1990s, Rowe has learned that the end result of a Chapter 11 can span the gamut. A business with a viable plan can emerge with a structure in which everyone gets paid. But if creditors can&apos;t agree, sometimes a company shuts down. "I think those people in our industry who ran their businesses conservatively and put money back, I think they&apos;re going to be just fine," Rowe says. "But those who didn&apos;t, those are the folks that can&apos;t take the 90 days or whatever and wait out the Chapter 11." Genmar is one of Edson&apos;s customers, and Keene suspects the company has some money owed that it may not see. "But the reality of the thing is Irwin Jacobs has run a good company for many years, and I suspect he&apos;ll get through this, and hopefully he&apos;ll remember the guys who took it on the chin," Keene says. "And maybe we don&apos;t get the money back, but if we get the business back, that would be wonderful." What Keene asks himself is this: "Would we have done business with this company if we had known that this was going to be the outcome?" In most cases, the answer is yes, he says. During the luxury tax period, Edson got stuck with a bill from a bankrupt company with which it had enjoyed a 20-year relationship. When the company emerged from Chapter 11, Edson maintained the relationship. 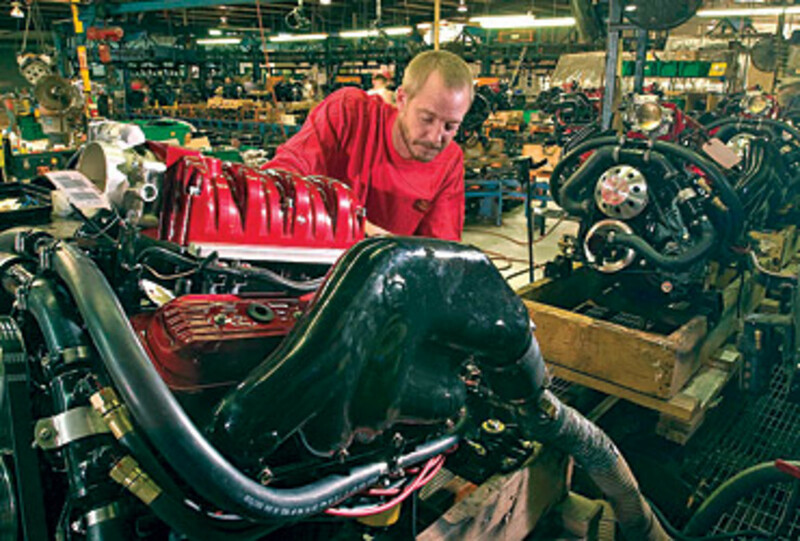 Dorton hopes more bankruptcies or production disruptions won&apos;t further jeopardize vendors. "Many are captive in that they are the only producer of each component," says Dorton. "In the auto industry there are many more to choose from. Where auto manufacturers tend to have the reputation of being fairly tough on purchasing terms, here we form a much deeper partnership with these manufacturers because they&apos;re often the only ones who produce what they produce. "We keep a constant monitor on our key vendors to make sure they are viable," he says. "Right now, we feel the ones we work with are going to be OK, but it is a very fragile environment." Rowe says despite suffering through a significant loss of revenue, Indmar feels good about its position today. For the last three or four months, the company has been at what Rowe calls a "soft bottom." "I think each day, each week, things are a little more firm," says Rowe. "We&apos;re in a niche market, the water sports market, and we tend to be a little more resilient than the rest of the industry. That may be the case now. The manufacturers all have orders now. They&apos;re starting to see daylight, and we&apos;re quite optimistic." Both Rowe and Keene are concerned about whether government will help small businesses during this crisis. "It worries me that I don&apos;t see anything put out on the table, something that will help our industry and other industries work their way out of the doldrums," says Keene. "Because your vendors are suffering and your customers are suffering, it trickles down. It was never as true as when the luxury tax came through. It wasn&apos;t CEOs losing jobs; it was blue-collar workers laying fiberglass who lost jobs, [and] it was supposed to be a tax on the rich." But Edson will ride out the down cycle, Keene says. "I&apos;m trying to think in a glass-half-full mode, because it&apos;s hard to get up and go to work if you think the glass is half empty," he says. "It&apos;s tough enough without allowing yourself to think it&apos;s tougher. If you get depressed, you&apos;re not going to see opportunity, but opportunities are there. "I tell my kids when we go boating, if you fall in the water and panic, you drown," Keene adds. "If you keep your head clear and look at your options, you might find there&apos;s a way out. I don&apos;t think business is all that different. You&apos;ve got to take advantage of the opportunities, no matter how marginal they may seem at the time." Rowe finds solace in being a family business and in being able to facilitate an employee&apos;s dreams of buying a house, owning a car and raising a family comfortably. "As bad as it is, there&apos;s still some stuff to be optimistic about out there," Rowe says. "We&apos;re all going to see consolidation. I hate to see some of my friends and colleagues go by the wayside, but that&apos;s unfortunately the way it is. It&apos;s a smaller market - that&apos;s all there is to it. We just have to be determined we&apos;re all going to be here on the other side." That marine industry will be smaller and will not support the manufacturing levels that were the norm before the slowdown, Rowe suggests. "It&apos;s important that we know our vendors and keep our fingers on the pulse to make sure they&apos;re still there in the turnaround," says Rowe. "That may mean support, paying higher prices or getting involved in a company to help them turn around. Looking back at our country and looking at the smokestack industry, I think that&apos;s in the past. The people who can move quickly and become more flexible in what they do, those will be the survivors."